Vibration mode is a boon to many people, who use phones. You can silent the phone and put it in vibration mode when you are busy or in a meeting. You will not want to miss any important messages or calls even if you are busy. But when your iPhone does not vibrate, it can be an issue that needs to be fixed as soon as possible. Let’s see some of the basic solutions for fixing the iPhone vibration not working problem. One of the silliest mistakes that the iPhone users do is they forget to toggle “ON” the vibration mode in the Settings. Make sure you do that by following the steps below. Go to Settings and select Sounds. 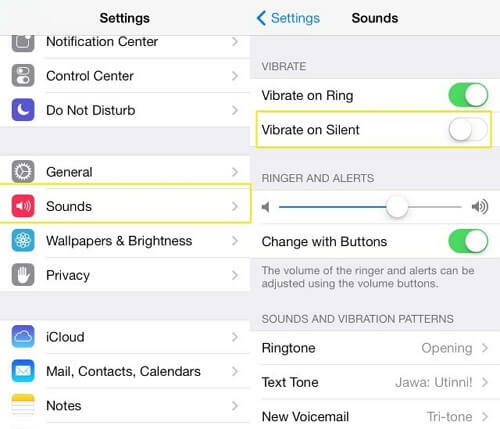 Under “Vibrate”, turn ON both the toggles-Vibrate on Ring and Vibrate on Silent. It will be a good idea to check if you have turned on the Vibration in the Settings. Start Settings -> General -> Accessibility. Scroll down to find Vibration and turn it ON. Check if vibration is working. One of the easiest ways to solve various kinds of issues in the iPhone is to hard reset it. 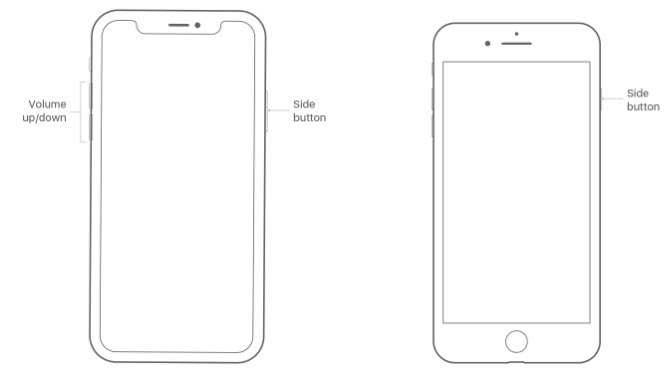 For older models, press “Home” button and “On/Off” buttons simultaneously. For newer models, press “Volume Down” button and “On/Off” button simultaneously. Keep pressing until you see the Apple logo. Another great feature in the iPhone is Do Not Disturb, which comes in handy when you want to relax. But it can also be the reason for your iPhone vibration not working. When you turn it On, all the alerts, notifications and calls are silenced. On many occasions, you forget to turn it off, giving you the problems. Go to Settings and toggle the Do Not Disturb “Off”. Also, ensure that scheduled and manual options are turned “Off”. You can also swipe up from anywhere on the screen to open Control Center and tap the moon logo. The DND feature will be turned off also. You can now check if the vibration feature is working. 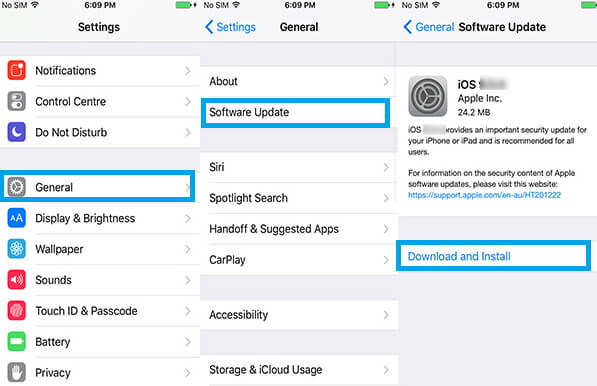 Various issues in the iPhone get solved once you update it to the latest iOS version. 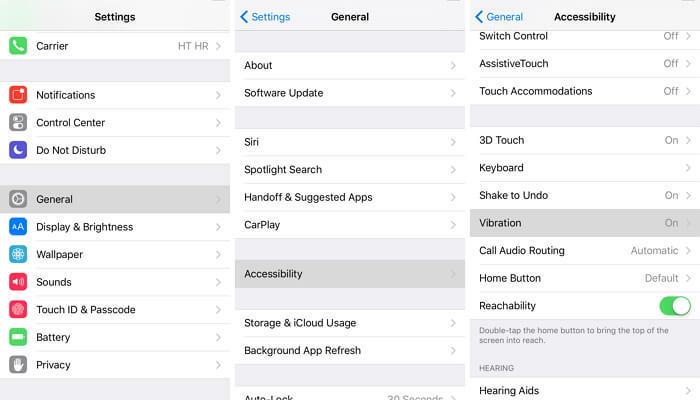 The iPhone vibration not working issue can be because your device is running on the older version. Go to Settings -> General -> Software Update -> Install Now. 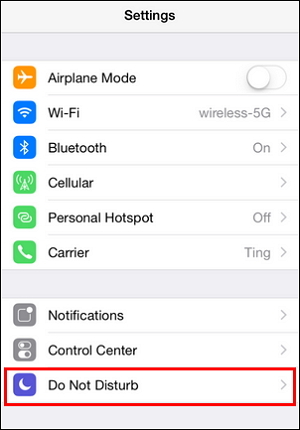 Make sure your iPhone is fully charged and it is connected to the Wi-Fi network. The above methods are some basic solutions that can help solve the issue. If you are still having problems, you can check the advanced solutions for fixing the issue. Often issues in the phone cannot be solved so easily. You have to rely on some advanced software for solving complex problems arising due to unknown reasons. iMyFone D-Back is one such software designed to solve iOS issues in the iPhone/iPad/iPod touch. It is developed using the advanced technology available so that the users can quickly solve software issue in their phones. It supports almost all the devices running on all iOS versions. This program is capable to fix various iOS issues conveniently without any data loss. Let’s see how to fix iPhone vibration not working issue using the standard mode of Fix iOS System function. Step 1. 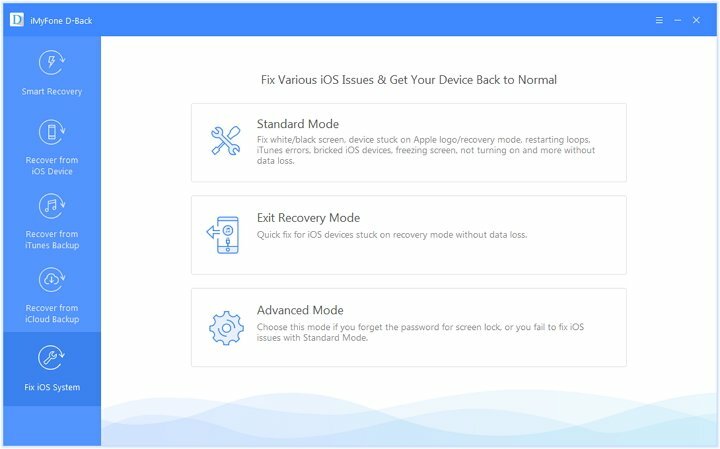 Open iMyFone D-Back on your personal computer and select “Fix iOS System”, which is on the left. Step 2. Connect your device to computer via USB cable. The three modes will be displayed on the screen. Select “Standard Mode”. Step 3. 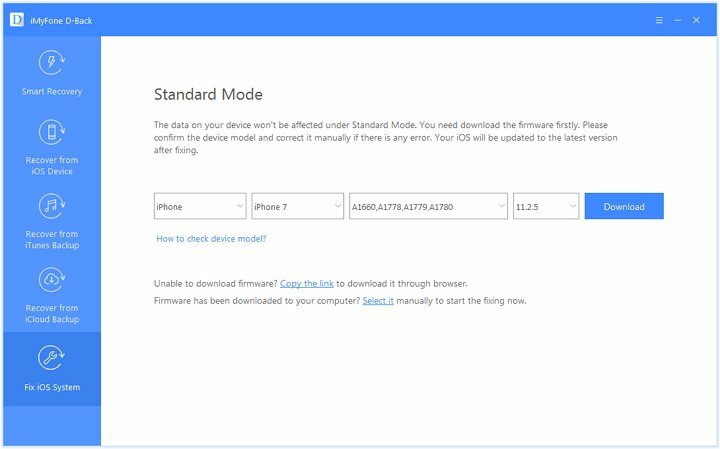 The software will ask you to enter the DFU Mode/Recovery Mode for fixing the process. 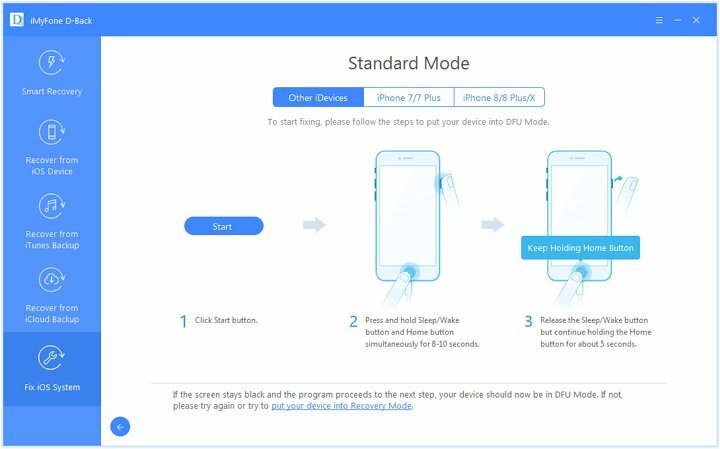 Then put your device into DFU or recovery Mode with the on-screen instructions. Step 4. The program will detect the device automatically, so just click on “Download”. Step 5. Once the firmware is downloaded, click on “Start to Fix”. The program will immediately start fixing your iOS. After finishing, check if you can switch On the device. You can also fix this issue by restoring your device from the iTunes backup but with the data loss. Step 1. Open iTunes on the computer that was used for creating the backup. Step 2. Connect your iPhone to the computer using a USB cable. Enter password if prompted. Step 3. 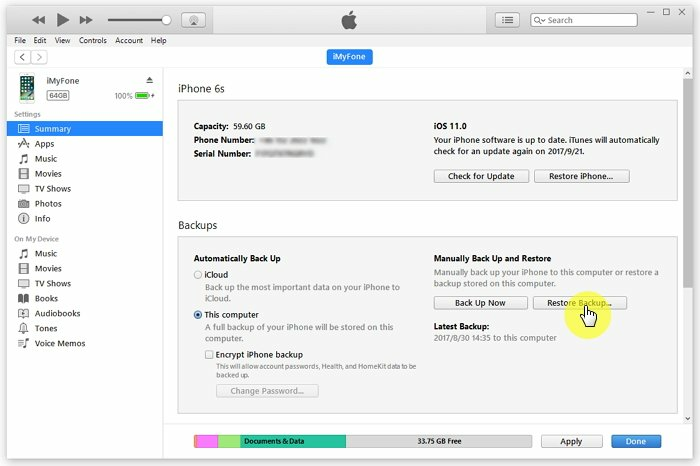 Select your iPhone that appears in iTunes and then click on “Restore Backup” under Backups. Step 4. Choose the most relevant backup and click on Restore. Step 5. The phone will restart automatically. Keep the device connected and sync it with the computer. Step 6. All the data will get restored in your iPhone. Check if the issue is solved. The iPhone vibration not working can also be solved by restoring your device from an iCloud backup. Step 1. Open Settings and go to Apps & Data. Tap Restore from iCloud. Step 2. Sign in to your iCloud account using your Apple ID. Step 3. Select the most relevant backup. Once you choose, the transfer process will begin. Step 4. It will take time to finish the whole process. After it is finished, check if the issue is resolved. You don't have to worry even if you lose data after fixing the issue. 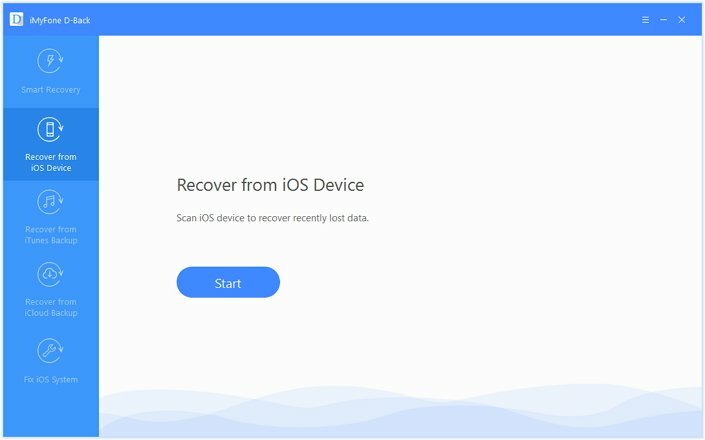 Follow the steps below to recover data from iPhone using iMyFone D-Back data recovery tool. Step 1.Open iMyFone D-Back and select “Recover from iOS Device”. Click Start. 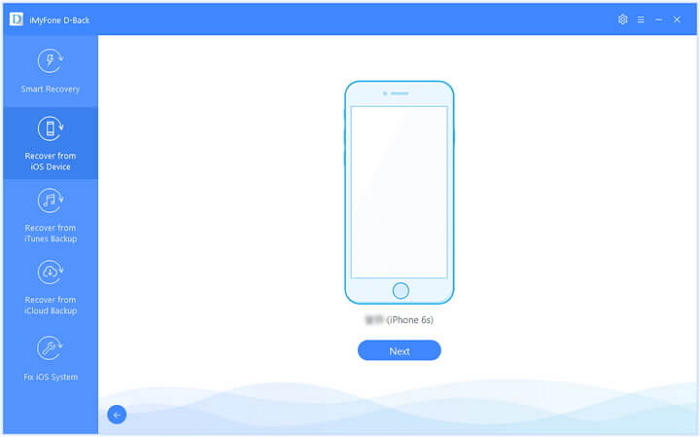 Step 2.Connect your iPhone and click Next. Step 3.Choose the file types you want to recover and click “Scan”. Step 4.Once the scan is finished, all the data will be displayed. Select the ones you want to recover and click on “Recover”. Choose the location to save the files. 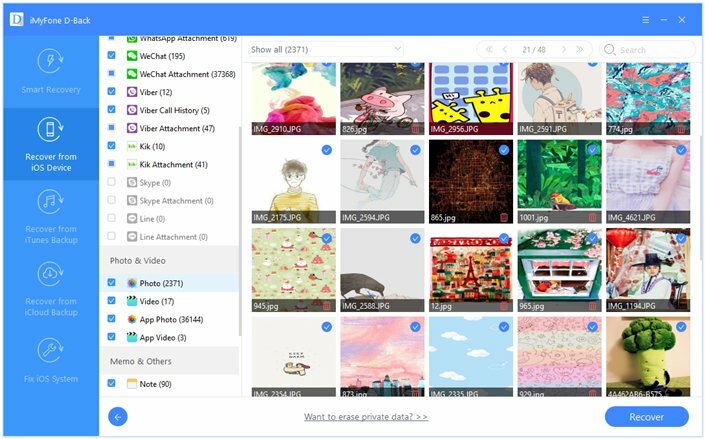 Taking a backup of your entire device’s data is very important. 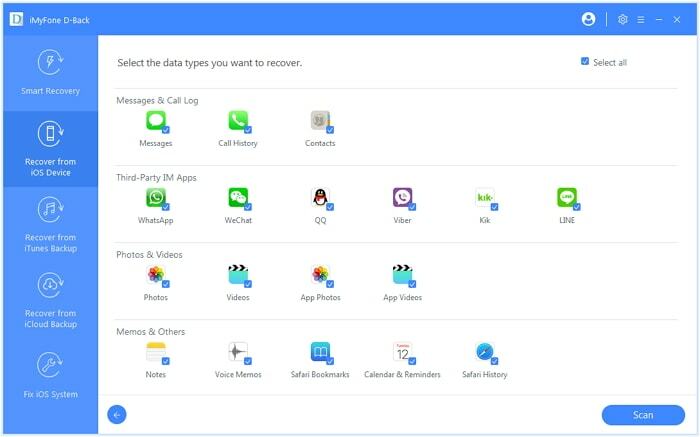 In case the phone gets stolen, lost or damaged, or suffers from virus attack, formatting error or even accidental deletion of data, you can easily get the data back from the backup. 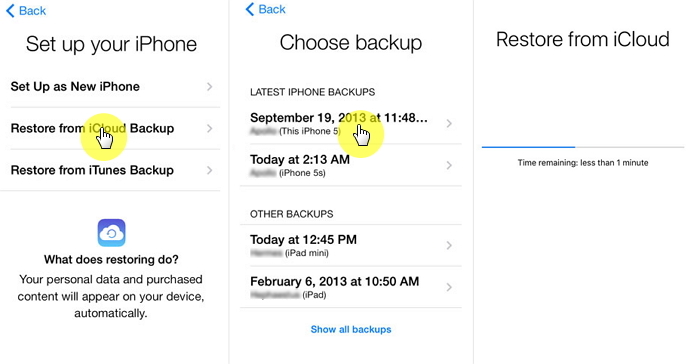 You can use the official backup methods like iTunes or iCloud to back up all the data of your device. 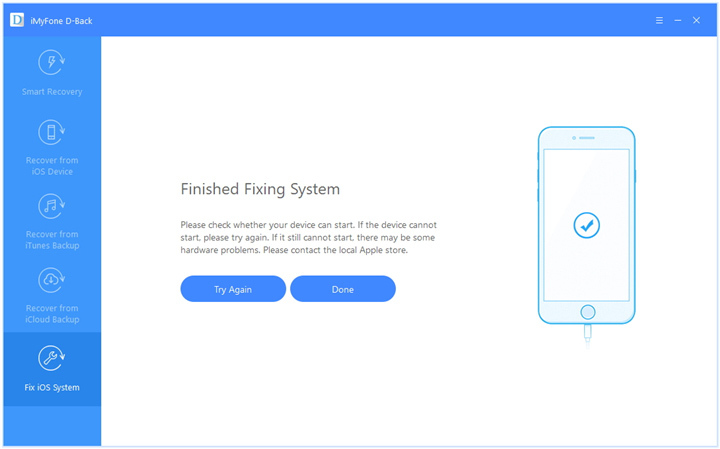 You can also rely on an advanced tool like iMyFone D-Back data recovery program which can selectively or fully export data from device or your iTunes/iCloud backups. Check all the methods given above to solve the iPhone vibration not working issue. You can start solving using the basic solutions first. If the issue still persists, check all the advanced methods and choose the most convenient method. If you do not waste a lot time on trying, you can directly use the advanced methods. Feel free to leave your comments below regarding the issue and let us know which method worked for you.